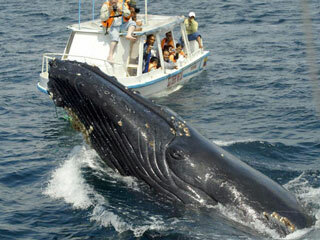 Did you know the World Wildlife Fund considers the Dominican Republic one of the top places to Whale Watch in the world? It's true! Keep reading so we can tell you why. 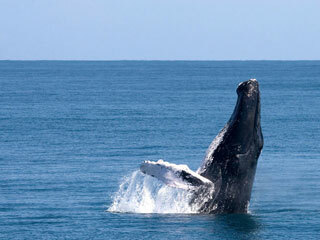 For the last millennia, Humpback Whales have been visiting the Dominican Republic for only TWO months out of the year. So consider yourself lucky if you're visiting from January 20 - March 20. Will you ever get a chance to go Whale Watching again in your life? We're not talking dozens, scores, or even hundreds of Humpback Whales. We're talking thousands. 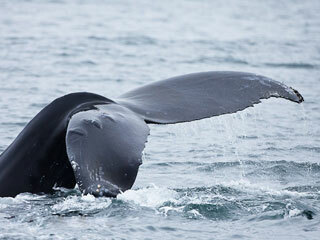 Yes, thousands that make their way from the cold waters of the North Atlantic to the warm waters of Samana Bay. Humpback Whales are the Dominican Republic's original tourists! 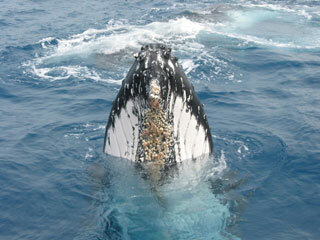 Humpback Whales don't come South to relax. 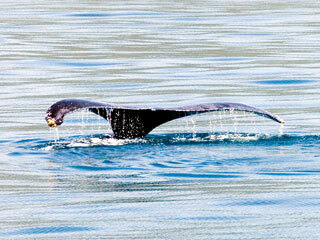 They make their journey to give birth and to mate in Samana's protected inlet of pleasant Caribbean waters. 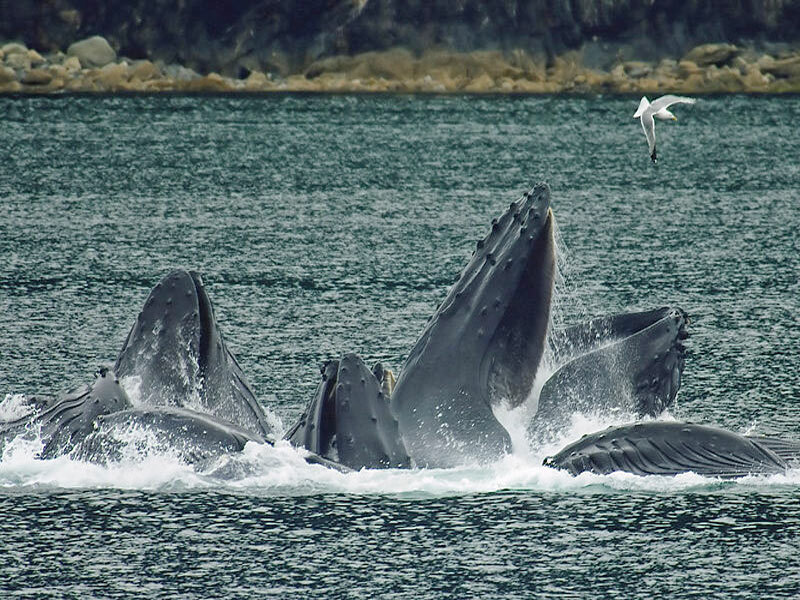 Not only will you see full-grown adult Humpback Whales (which can be as long as 50 feet and weigh 8,000 pounds) but also new born calves following their mothers. Is that unique or what? Did I mention it was mating season? 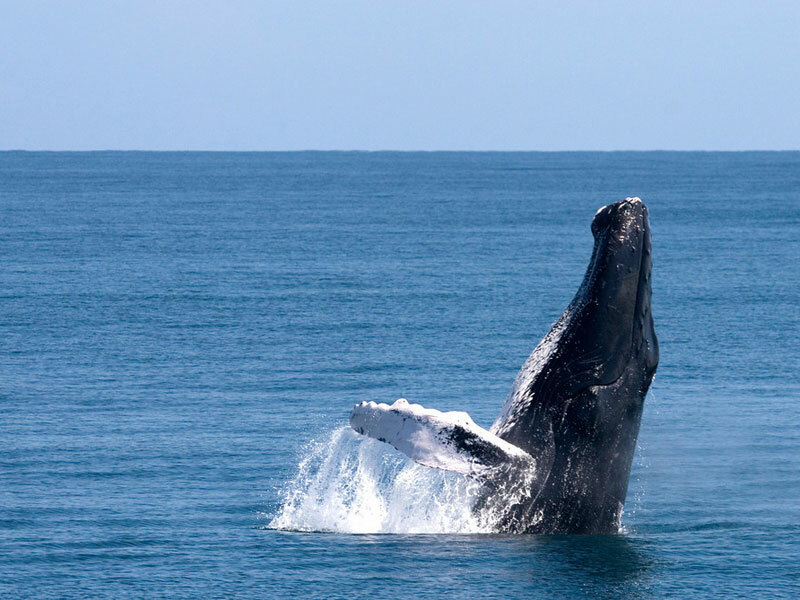 The male Humpbacks are driven to pro-create. It's common to find large competitive groups (pods) of male Humpbacks jousting for the opportunity to mate with a single female. That means lots of pectoral fin slaps, tail slaps and even breaches! What can we say, it's the call of nature… welcome to the "Motel" of the Caribbean. 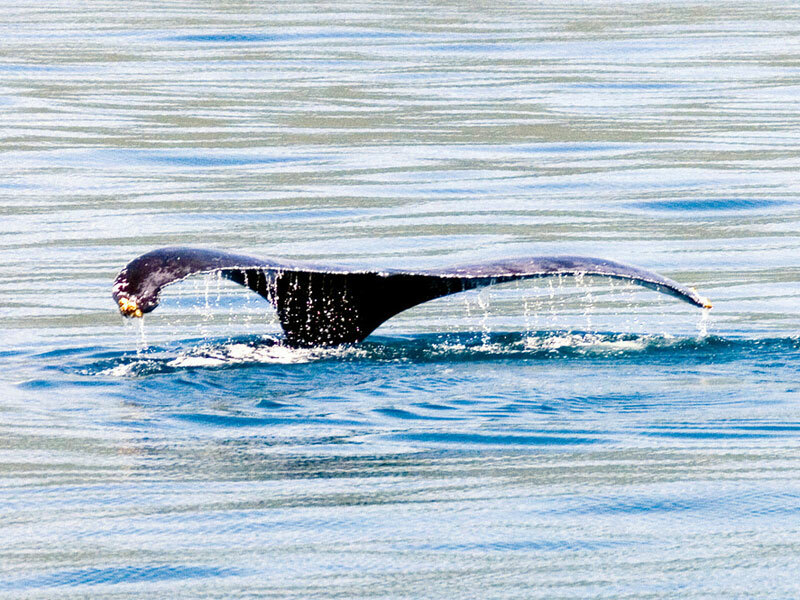 So we've explained why Whale Watching is unique but that's just the beginning! 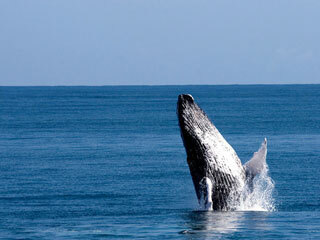 Our Whale Watching excursion from Punta Cana to Samana By Plane is sooo much MORE. Board a plane from Punta Cana to Samana, a lush and mountainous peninsula in the northeast corner of the Dominican Republic. 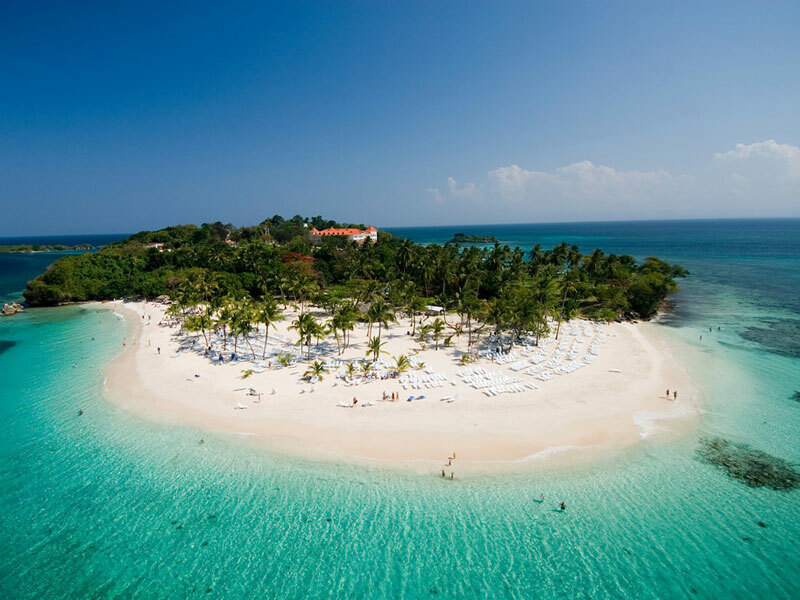 The 30-minute flight is a birds-eye view of the Dominican Republic's entire eastern region, see virgin coastlines and untouched tropical forests below. Jump on an open-air Safari Truck that will take you deep into Samana's mountainous countryside, a completely different region of the Dominican Republic. Stop at a traditional country home for a brief introduction and tasting of some of the country's most prized natural produce: chocolate, coffee, tobacco, papaya, mango, pineapple, rum and mamajuana, to name a few. Ride on horseback to the renowned Limon Waterfall; nestled deep in the forests of Samana, the cascade crashes 170 feet to a cool lagoon below. Jump in! Sit down for a typical Dominican lunch spread of rice, beans, meat, salad, fruit and sweets. All served at a country ranch in Samana's pristine, tropical outback. No one goes home hungry! Set foot on Cayo Levantado Island. Once the hiding place of British Pirate Jack Bannister, this sandy sanctuary is now one of the country's most coveted offshore keys with powdery sands and lazy, lapping azure waters. So RECAP: Plane ride, Safari Truck Ride, Horseback Ride, Boat Ride, Visit to a remote waterfall, Whale Watching and your toes in the sand of the infamous Cayo Levantado Island. If you can do only ONE excursion during your vacation, Whale Watching from Punta Cana to Samana By Plane should be it! There's only TWO months out of the year to witness these majestic mammals of the sea. With reason, space is incredibly limited so book NOW to reserve your spot. 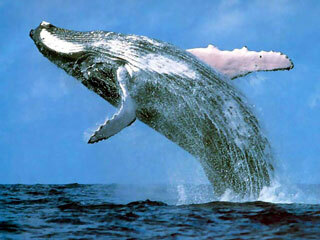 It's Whale Watching people! Time to check a BIG one off the bucket list! We'll be contacting you with the exact location""
This tour is ONLY available January 20 - March 20. You will be flying from PUJ (Punta Cana Airport) to Samana Peninsula for this excursion. 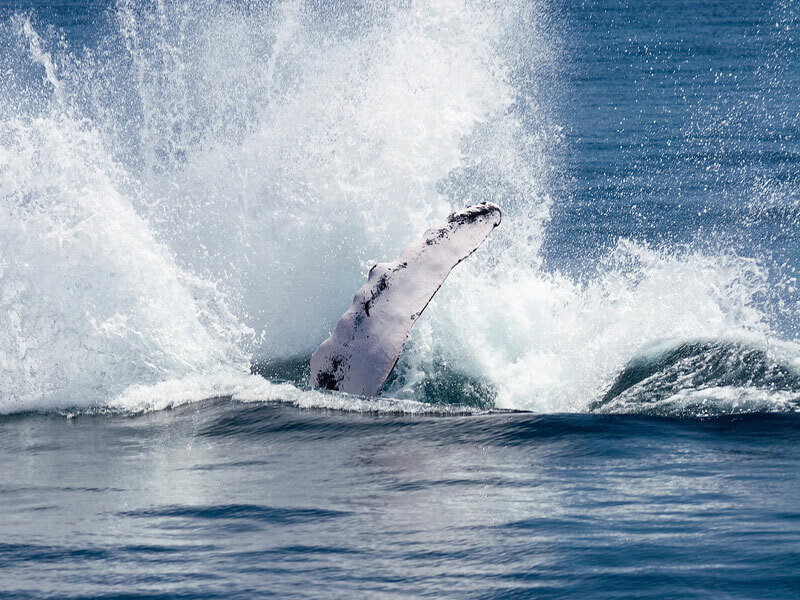 Please note that this itinerary may change where you would whale watch first and then go to the waterfall.The young men and women who tend to the horses on the waterfall hike are from the local countryside and may ask for a gratuity. This is completely at your discretion and is always appreciated. We can ensure the proper treatment of the horses but it is difficult to compare them to horses in North America, for example. These are country horses mainly used for cargo. You may walk if you prefer not to horseback ride. The walk is about 25 minutes to the fall. 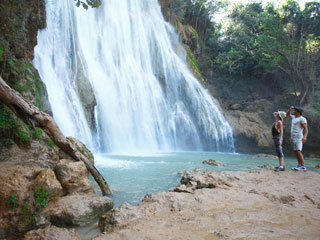 Once you arrive, whether by foot or horseback, you will walk down a somewhat steep stairway to the base of the fall. There is a handrail, but it can be a bit physical for some visitors. This Excursion is no longer available. Please click here, for other tour options. Punta Cana Excursions - Samana and Macao Buggies!